Competitively priced at 394,500 Euros, the house is in good condition and has 3 en-suite bathrooms. It would make a great large family home, or indeed perhaps a B & B business. The past week has shown signs of increasing activity, perhaps brought on by the £ holding on to the recent gains against the Euro. In fact 2 of our clients have been pipped at the post during this week by other buyers who were more decisive after viewings had taken place. Not quite the busy days of a couple of years ago, but certainly noticeably more activity in the market now. I suspect that prices have now bottomed and this is the best time for buyers to be enetering the market. 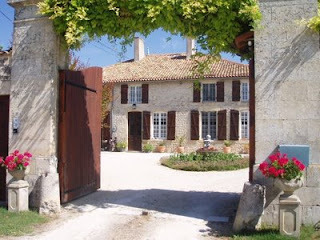 The recent recovery seen in the £ is gradually teasing UK buyers back into the French property market. Sales of property in the UK are slowly getting back on track, enabling many people to revisit their plans for an overseas property. Mortgage lenders are also slowly easing finance back into the system, so that the cogs of finance are progressively being oiled. This is good news for potential UK buyers in France, where property prices are probably back to where they were in 2004. In other words, there are some great bargains to be had. Many vendors have reduced their asking price quite significantly and are still open to negotiation. You can use football as a good example of how one needs to be aware of the impact of currency exchange movements. Cristiano Ronaldo’s much publicised proposed transfer to Real Madrid was announced on the day the £ hit its highest level against the €uro for six months - and until the paperwork is signed and sealed every rise will costing the Spanish club more money. The pound hit 1.18 euros on Thursday, up from virtual parity at the end of December, and currency experts have calculated that each cent the Euro falls will cost the Spaniards an extra one million Euros. The £80million price the two clubs have agreed would have cost Real Madrid €83 million in January when the pound was much weaker, but at today’s exchange rate the same sterling amount will cost Real Madrid €93 million. 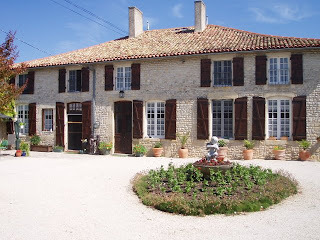 The same scenario is happening to ex-pats selling property in France, and this gives buyers with cash in their pockets a great bargaining tool. When buying property abroad, check the exchange rate - it is equally as important as negotiating the sale price. Purchasers of property abroad are always keen to negotiate a good price, but most fail to realise that they can achieve significant savings by receiving the best currency exchange rates. Through our business partnership with a specialist brokers, we are able to offer a choice of immediate or forward contracts to secure your Euros against Sterling. 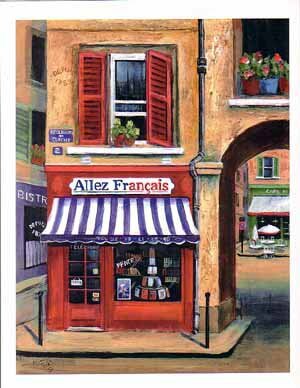 Allez França¡s has a dedicated dealer able to offer an exceptional service. A forward contract is especially worthy of consideration if a purchase is not immediate. It can be bought at a pre-determined rate from 3 days to 2 years ahead. The rates achieved will aggressively undercut High Street banks and other sources. Currency is transmitted by priority telegraphic transfer to anywhere in the world.